Minecraft Forge API for MC 1.4.4. 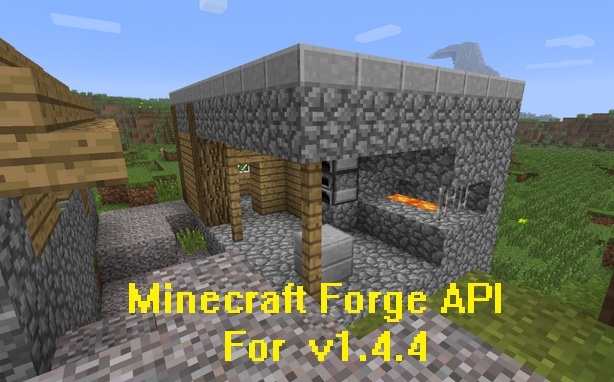 Minecraft Forge API is a modification which allows you to install multiple mods with similar functionalities. For example, you can install Buildcraft and Twilight Forest at same time without any sort of conflicts and crashes. Minecraft Forge API provides support for both client and server and improves your gaming experience. Description: Lets you install multiple mods in Minecraft. Compatibility: Windows, Mac & Linux. Download the Forge from the link above. Go to Start Menu > Run > Type %appdata% and hit enter. Go to ./minecraft/bin folder and open Mineraft.jar with any archive sofware (For e.g. WinRAR). – It is recommended to install Forge in fresh install of Minecraft. – Minecraft Forge already contains ModLoader, you don’t need it.